Keep Moving | Expert Removal Services ~ Call & Get 40% Off! 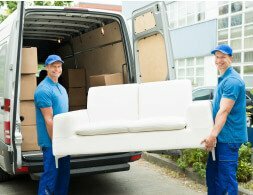 If you live within the London areas and need removal services; the first thing to consider is hiring professional movers who have in-depth knowledge of removal services. Keep Moving is one such company that you can confidently count on to get your house and office removals done by experienced moving crews. We have all the services relevant to getting your possessions safely from point A-B without delay. What makes our company unique is that we incorporate a tried tested method during our London removal services. If you want the best movers in your area then you need to call 020 8746 4510 right now and get your free, no obligations moving quotation. Your quote will be comprehensive and have all of your moving house or office tasks listed; moreover, there are no hidden costs with our superior removals company. For complete peace of mind call our consultants today. It is vitally important when choosing your personal moving company, to take into consideration what removal services they offer, as well as, their level of expertise. For this reason we have a list of comprehensive services that can be carried out by our highly skilled professional London movers. We are able to offer you man and van services, office removals as well as house removals. 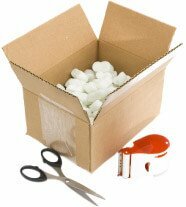 Additional services include packaging services; when you opt for our movers to assist with packing of your possessions, you can rest easy that any breakable items will be ready for transportation. We make use of sturdy A-grade boxes that will endure the loading and unloading processes. All of your furnishings, crockery, ornaments and other fragile possessions will first be bubble wrapped prior to being packed into any boxes. The bonus of this moving service, is that all boxes and contents are itemised for further convenience. Another benefit of using our professional removal services is that you will have a full itinerary presented to you prior to your moving day. Therefore, by hiring our moving company you will know that your entire move will be carefully thought out from beginning to end. Planning in advance is another vital step in ensuring that your move is seamless; and when it comes to planning your removal services our consultants know 100% what needs to be done. 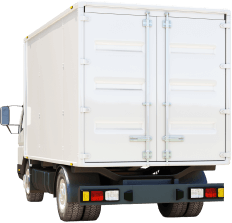 Moreover, we only use closed vans for our man with a van services; therefore your furnishings will not be exposed to the elements for any part of their journey to your new address. Each of our vans are fitted with lifts to make sure that your heavier items are effortlessly loaded onto the vans. Another element of our removals services, is that we send out a full moving crew that will compliment the size of your particular removals process. Keep Moving is truly a London removals company that offers you one-stop comprehensive removals solution under one roof. Regardless, of the size or whether you need us to do a one bedroomed apartment or large office removals service, we have all the tools and equipment to get it done without any hiccups. With our professional movers your home removals or office removals will get done in no time at all. No matter where you are moving too, give our moving company a call at 020 8746 4510 and we will gladly offer you our affordable moving services. Do not settle for any second rate movers; only make sure to hire true professionals who will give you their full attention from the minute you call. When you get in touch with us; our experienced moving consultants will set to work immediately helping you choose the best removals services for your specific moving requirements. Description: Hiring our professional removals services, done by expert movers in our London removal company is the surest way to get your office and home removals done to perfection. Copyright © 2013 - 2017 Keep Moving. All Rights Reserved.